Join us for a night at Zealand Hut, one of AMC's easiest huts to access. The hut, with co-ed bunkrooms, is spectacularly situated on the side of Zealand Valley near Zealand Falls at the northern end of the Pemigewasset wilderness. We will hike in via the Zealand trail which is 2.8 miles and 650 ft. gain. Carry your sleeping bag, lunches and snacks, water and gear. The group will carry in supplies for dinner and breakfast and prepare it together in the hut kitchen. This trip is appropriate for children &gt; 4 years with adults who can hike 2.8 miles on a relatively flat trail. Join the leaders for an aggressively-paced hike of the Middlesex Fells. We'll meet at the eastern edge of the Cross Fells Trail (Gate 58) by 5:50 pm to start hiking promptly at 6.00 pm. Each week of this 'Show and Go' hike series, we'll tackle variations of the Rock Circuit and surrounding trails in the eastern section of the Fells. We'll hike until dark (bring a headlamp) at a fast pace to get our heart rates up. Sorry, but no dogs or children are allowed on this hike. Spend three days, two nights exploring Mt Washington's Alpine zone as spring arrives. 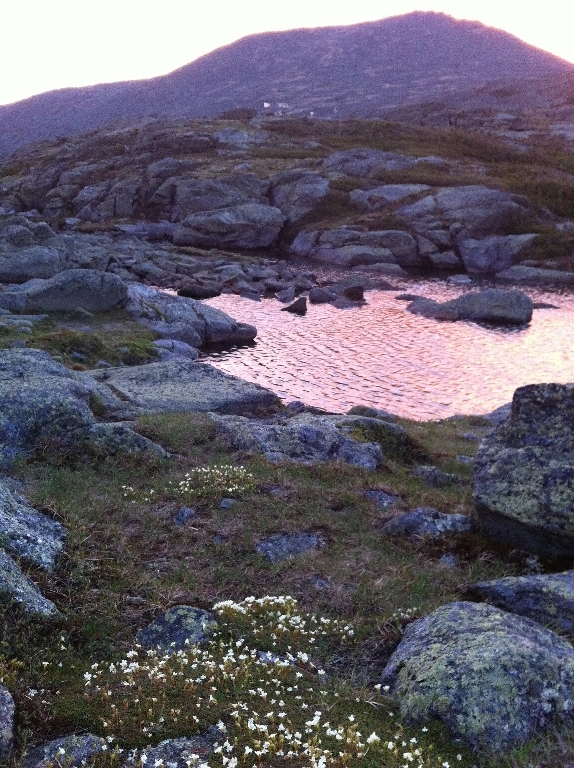 We will hike up to AMC's Lakes of the Clouds Hut on the shoulder of Mt Washington. We will enjoy this uniquely situated hut while exploring the summit, the alpine garden, and surrounding peaks. We hope to leave plenty of time to savor the expansive views of this beautifully harsh environment and explore the historic buildings of Mt Washington's summit. We will climb Mt Monroe nearby and on the last day hike the ridge line out, summiting Mt Eisenhower before we descend. This trip is ONLY available to participants of the Spring Hiking Program. The Beginner Backpacking Experience will give participants an introductory backpacking experience through an overnight trip of moderate length to a backcountry destination. Backcountry groups will have approximately five to eight participants with a leader and at least two co-leaders. 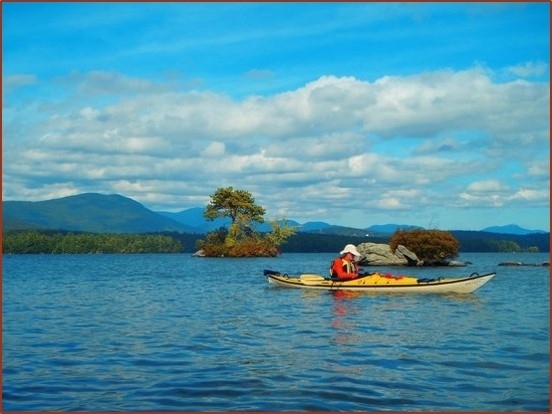 The backcountry destinations offered may include: Ethan Pond, Liberty Spring, Kinsman Pond, Hancocks and Tripyramids. Join us for our traditional spring hike on Mount Cardigan Cardigan. This is one of our favorite hikes for the variety of ecosystems and for the expansive views. From the summit and its fire tower we will have a panoramic view of the surrounding rural landscape, with the White Mountains rising to the north, Vermont's Green Mountains to the west, Ragged Mtn., and Mt. Kearsarge to the south. We will do a loop with several stops, including stops on Firescrew and South Peak, and have lunch on the summit. Approximately 5.6 to 6.3 miles. Greetings: After becoming a 4-season leader and voted Winter Hiking Leader of the Year in 2009 by the Boston Chapter Hiking/Backpacking Committee, my husband (also an AMC leader) and I have continued to lead trips for AMC Boston Chapter throughout New England area and also for AMC Adventure Travel to domestic National Parks, Switzerland, Italy, France, New Zealand, Argentina, Chile, and Peru. Looking forward to seeing you on the trails! An annual training event for sea kayak enthusiasts on Lake Cochituate, Framingham. We will work all essential skills for safe and effective paddling on the ocean. This is a good opportunity to refine and improve techniques and get ready for the upcoming season. This year we welcome new comers and beginners to sea kayaking. Whether you're a peak-bagger or just enjoy hiking, you'll think the views from Osceola are amazing! We'll take the Mount Osceola Trail 3.2 miles to the peak with about 2,000 ft elevation gain at a moderate pace, enjoying some time on the summit. For the gung-ho in the group, we have the option to go 1 mile further from Osceola to East Osceola, and back - good for peak-baggers, but its a challenging add-on. We'll depart from the Tripoli Road trailhead at 9:00am. Join Lancaster Recreation Committee and AMC Boston Family Outings Past Chair, Jeanne Blauner, for a guided tour of Cook Conservation area starting at 9 am. Discover our local history through stories of days gone by. Imagine 1642. The Nashaway Algonquin Indians invite you to settle here along the Nashua …... Options for shorter (~ 1 hr) or longer walk (~ 3 - 3.5 hrs) of your choice. The longer walk is a relatively easy 5.5 mile hike much of which is along the Nashua River. Dress for the weather and bring a rain jacket, water, and snacks and/or lunch. Experience the excitement of whitewater kayaking in a fun and supportive environment with an outstanding group of paddlers. Join AMC Boston Young Members as we kick off the summer with a weekend of outdoor fun at AMC's Cold River Camp in North Chatham, NH. In true summer camp style, a variety of hiking and other activities will be offered each day as we explore the Evans Notch region of the White Mountains. Hikes will be offered each day for all experience levels. After hiking cool off with a swim, or return to camp to relax in the main lodge where dinner will be served. Enjoy socializing after dinner around the bonfire, or with games or other activities in the lodge. This trip is ONLY available to participants of the Spring Hiking Program. This is a 6 mile round-trip hike to Jennings Peak. The Sandwich Mountain Trail and a small spur trail will take us to the peak in 3 miles with 2100 feet of elevation gain. Jennings Peak has a great view to the southeast. During the trip, participants will have a chance to ask their leaders and co-leaders questions about hiking and to get some extra tips on equipment, preparation, and hiking technique. You will also have the opportunity to practice crossing a stream as part of this hike. We will walk the popular Caryl Trail to an old mill site. Along the way, we will use magnifying glasses to see what lives under fallen logs and along the forest floor. We may also see some bird life including northern orioles and hawks. The walk is appropriate for all ages. From the high point of the trip we will have a view of the Boston skyline on a clear day. Please bring water, sun screen and insect repellent. Wear good shoes or hiking boots. Chris has an environmental studies degree from the University of Wisconsin. He leads Outdoorsrx trips for families in the Western suburbs of Boston. He also leads nature awareness trips, called Appreciating Nature. In 2014, Chris offered trained volunteer and crew naturalists in how to run nature awareness programs for families. He loves to hike and bike. The 41st annual AMC Boston Chapter Bicycle Rally will be held at Verrill Farm in Concord on Saturday, June 8, 2019. It is a wonderful opportunity for cyclists of all levels to get together to begin the summer bike season. Come help us celebrate. This year there will be rides from 16 to 50 miles on beautiful rolling terrain. After the rides, riders can enjoy an outdoor happy hour with appetizers, beer, wine, and soft drinks followed by dinner. Dinner will be served under a tent on the grounds. We will have a sumptuous dinner with vegetarian option. This trip is ONLY available to participants of the Spring Hiking Program. Summits aren't the only rewarding hike destinations! Expand your hiking experience with a trip to Thoreau Falls. This 10.7 mile hike will feature a visit to scenic Ethan Pond, and culminate with a relaxing midhike break at Thoreau Falls before returning to the trailhead. The waterfall is long, powerful, and set in a wonderfully remote and pleasing setting, with fine views to nearby mountains, making it a great place to stop! Interested in learning about the inner workings of the AMC Boston Young Members (YM) Committee? The YM Steering Committee is generally scheduled to meet on the second Monday of every month from 7:00 - 9:00 pm - dinner is provided! Our meetings are open to all in AMC YM. If interested, contact secretary Katie Blair (katieblair89@gmail.com) for information on location and other details. Are you an experienced AMC hiker and curious about how volunteer-led AMC hiking and backpacking activities are governed? 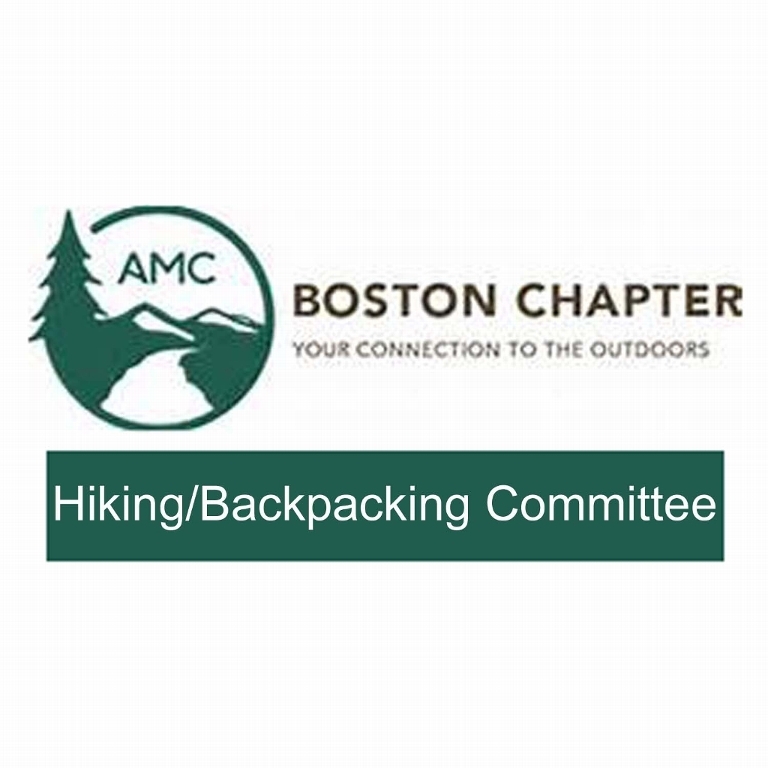 The Boston Chapter's Hiking/Backpacking Committee meets monthly to handle such matters as overseeing the chapter's hundreds of hiking/backpacking leaders and leader candidates, coordinating educational programs, administering our finance, setting policy, etc. Interested guests are welcome to sit in. For the particulars, contact Elizabeth Ryan, the chairperson, at chair@hbbostonamc.org. Elizabeth Ryan is a four-season hiking and backpacking leader with the AMC's Boston Chapter as well as the coordinator for the chapter's Spring Hiking Program. She has completed the New Hampshire 4000 footers, hiked in the Baxter park area and explored some of the glaciated North-west peaks. Upcoming trips include hiking in the Scottish Highlands and Iceland. Hike up/down via Valley Way from the Appalachia trailhead to Madison Hut. Followed by the Osgood Trail to the summit. Mount Madison is a 5,367 foot mountain-Elevation gain 4,100 feet. This trip is ONLY available to participants of the Spring Hiking Program. We will hike up Cannon Mountain (4080'), one of a limited number of 4000' White Mountain peaks that offer a 360-degree view. In Cannon's case, the centerpiece of the view is the spectacular Franconia range. The route up entails a few steep, rocky stretches and some exposed terrain on which to try your skills. Join a fun group of paddlers for a day on the class 2 section of the Deerfield. Boat and gear rentals available. All boats must have floatation.